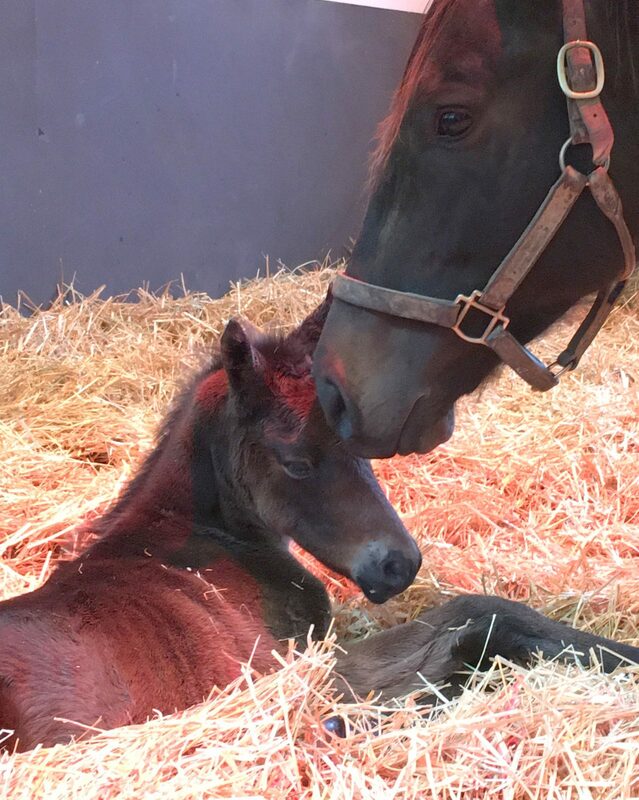 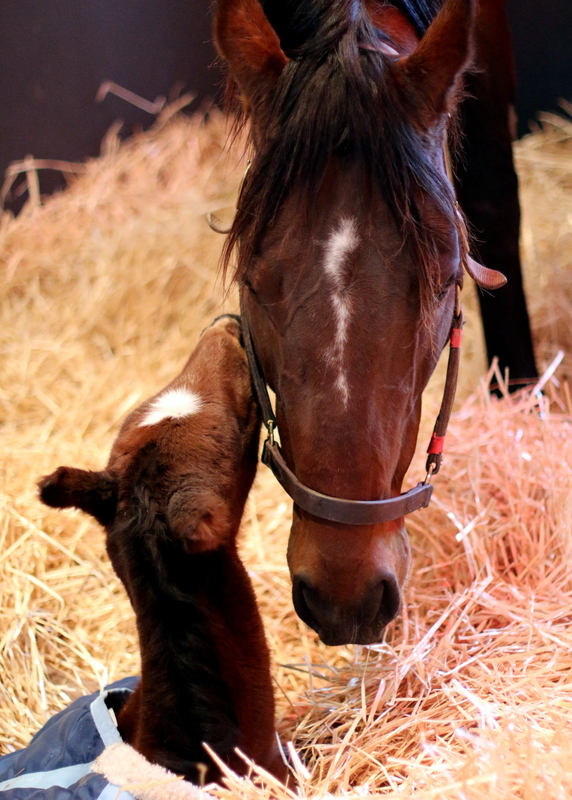 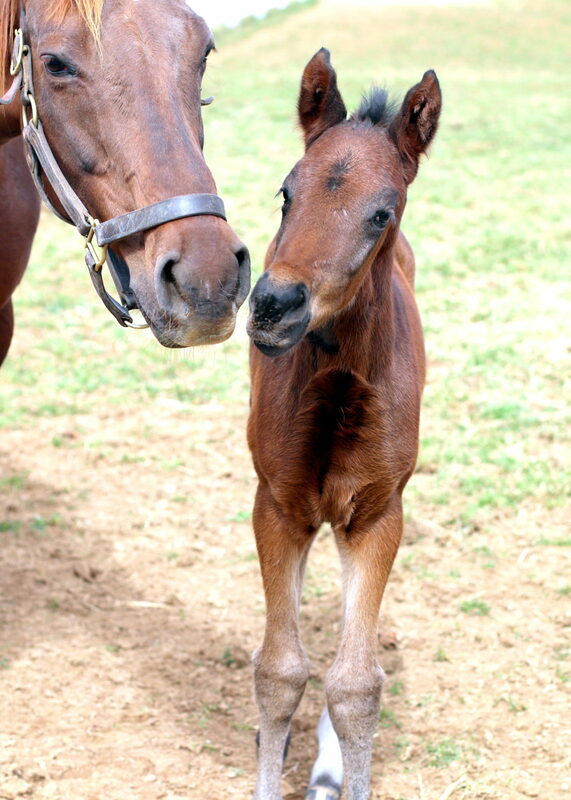 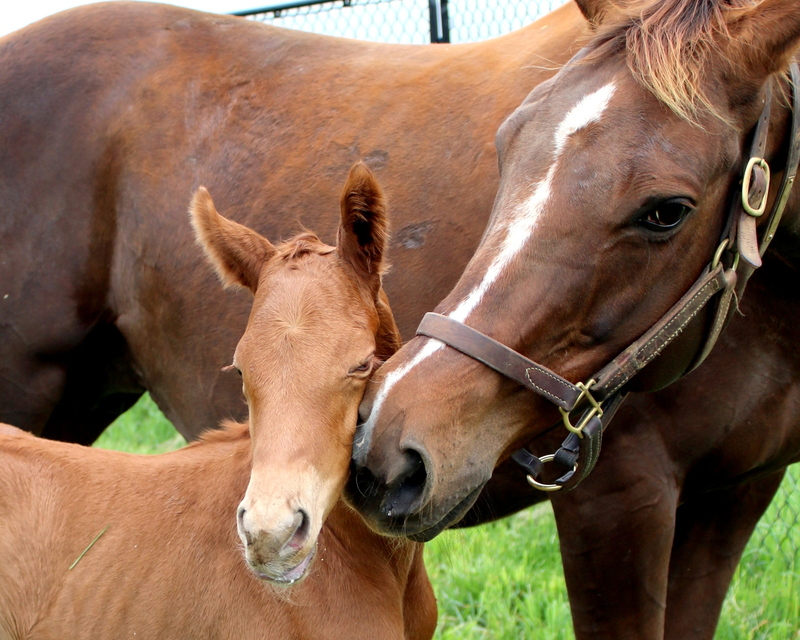 We have so many special moms to celebrate today and every day at Sagamore Farm! 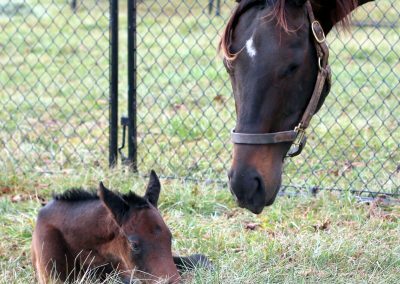 Of our 14 broodmares, 11 of them have welcomed foals this year. 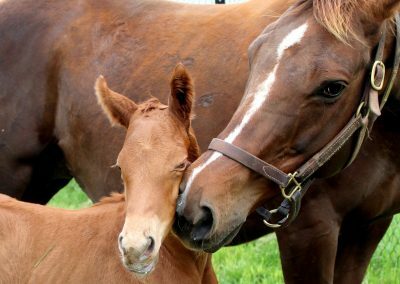 Perhaps the most incredible part of foaling season for our staff is being able to witness the strong bonds that are formed between mothers and young foals in the first weeks of life. 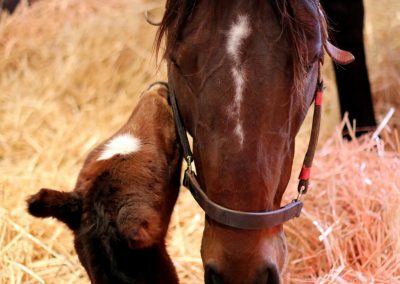 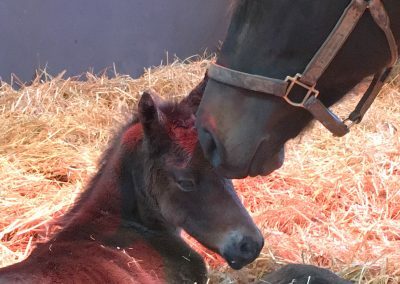 In the early weeks after a foal’s birth, a mothers job is an important one. 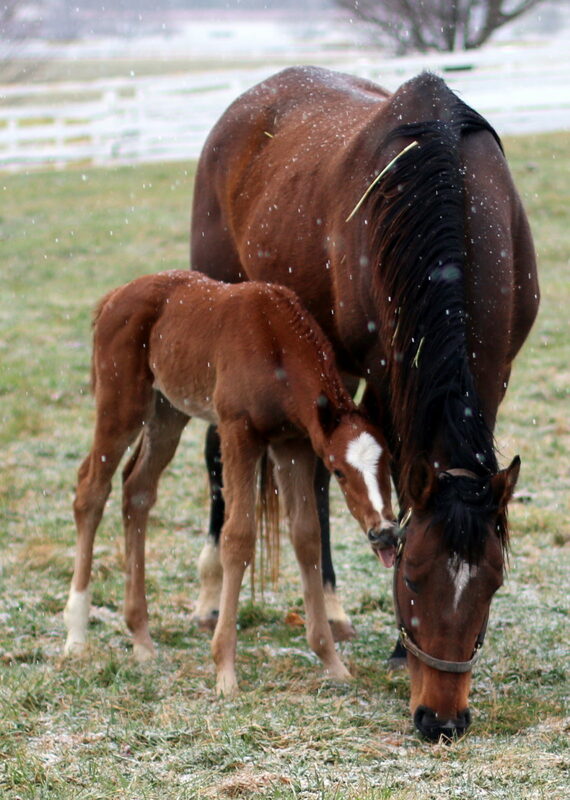 The mare feeds, nurtures and protects her baby who rarely leaves her side. 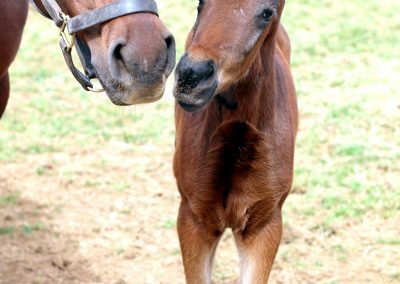 Our foals gradually become more adventurous, causing our mothers many anxious moments. 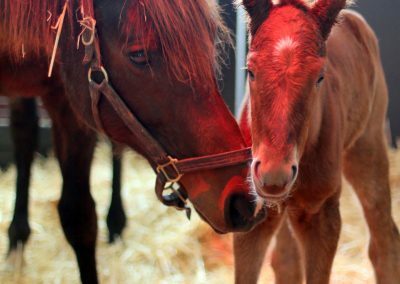 As they grow, foals are eventually weaned from their mothers, a natural process that can prove challenging for both mom and foal. 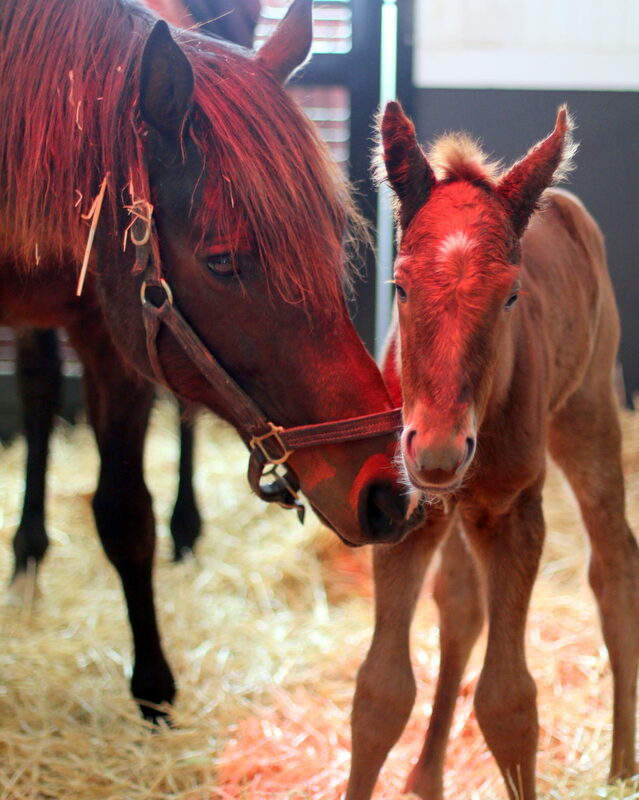 For our team, its also very special to watch each foal’s personality develop. 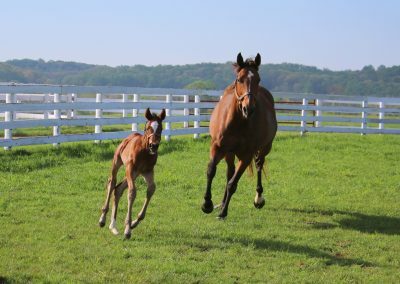 Since many of our broodmares were racehorses for Sagamore, we find extra excitement in welcoming new members into these special families. 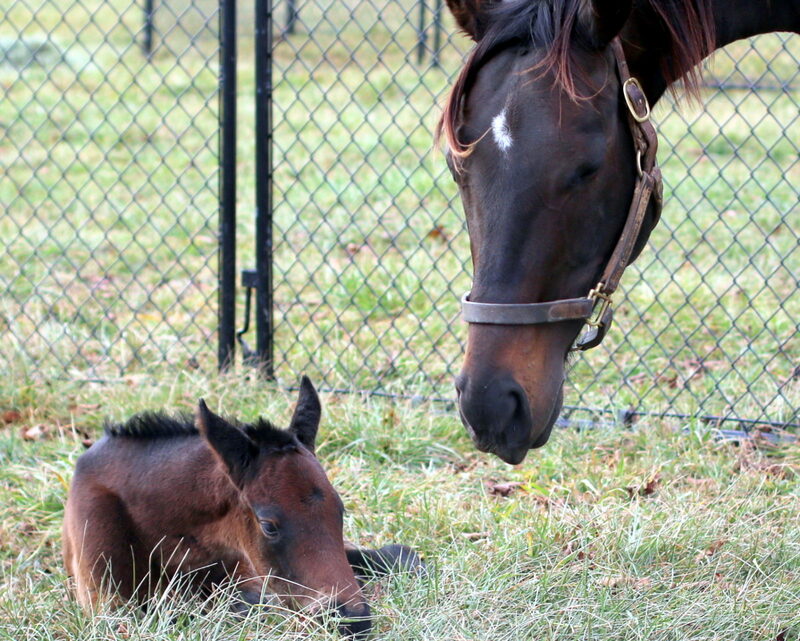 We have watched these mother grow, and now get to watch their babies grow! 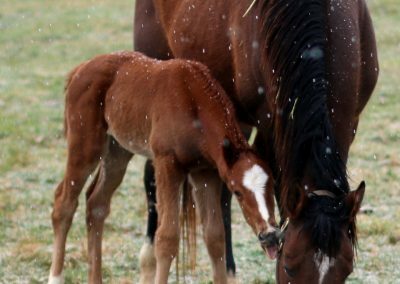 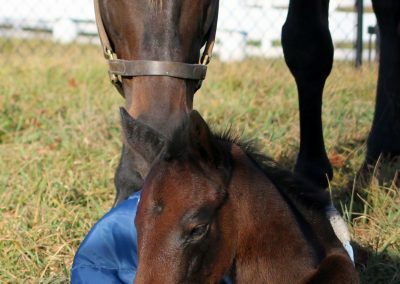 Check out some precious moments we’ve captures this season of our moms and fillies (yes, all fillies!) 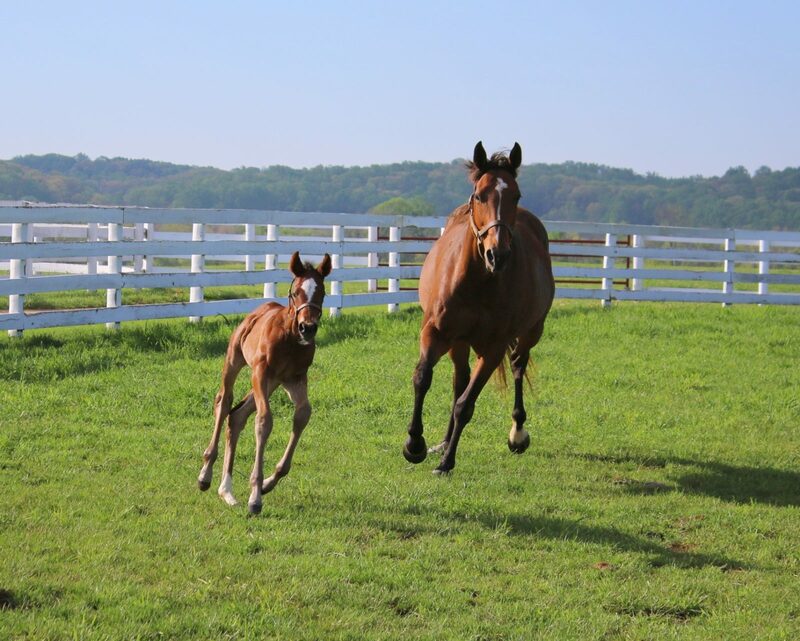 bonding.